Chemists at the University of California, San Diego have discovered that the mysteriously high salt concentrations in exposed soils of Antarctica's Dry Valleys are due in large part to biological sulfur emissions in the oceans surrounding the continent. Writing in the September 28 issue of Nature, the UCSD scientists said they discovered an unmistakable chemical signature in soil samples from this Mars-like region that suggested that atmospheric deposition of sulfates from sulfur-emitting marine algae is a significant contributor to the high salt concentrations in that region. For decades, researchers have speculated that the high salt concentrations were due primarily to an ancient sea that once covered the region, to sea salt carried to the continent by fierce Antarctic winds, to biologically produced sulfates, to the weathering of rocks or to hydrothermal activity. 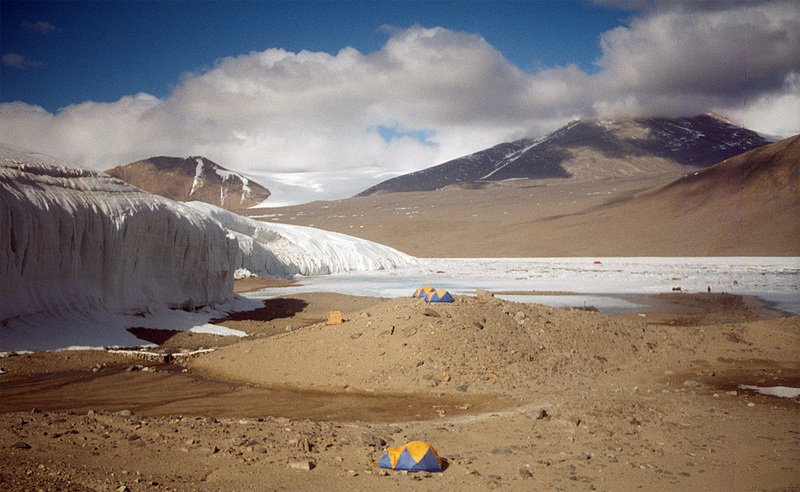 The UCSD chemists shed light on this question by discovering an oxygen-isotope anomaly in the sulfates they chemically retrieved from the soils of this region, located near the main U.S. Antarctic station, McMurdo, and unique to Antarctica because portions of it are perennially devoid of ice and snow cover. Their discovery enabled them to conclude that the sulfates came from sulfur gases that had undergone chemical reactions in the atmosphere and were transported into the Dry Valleys. Because Antarctica is thousands of miles from sources of man-made sulfur gases due to fossil-fuel burning, the scientists were further able to conclude that these sulfates came largely from sulfur-producing algae abundant in the ocean surrounding the continent. "This provides the first concrete evidence that a major portion of the salt in the Dry Valleys came from biological activity," said Huiming Bao, a geochemist at UCSD and the principal author of the paper. "It looks like wind-blown sea salt, sea-water intrusions, chemical or physical weathering of the local rocks, or hydrothermal activity are not all that important." 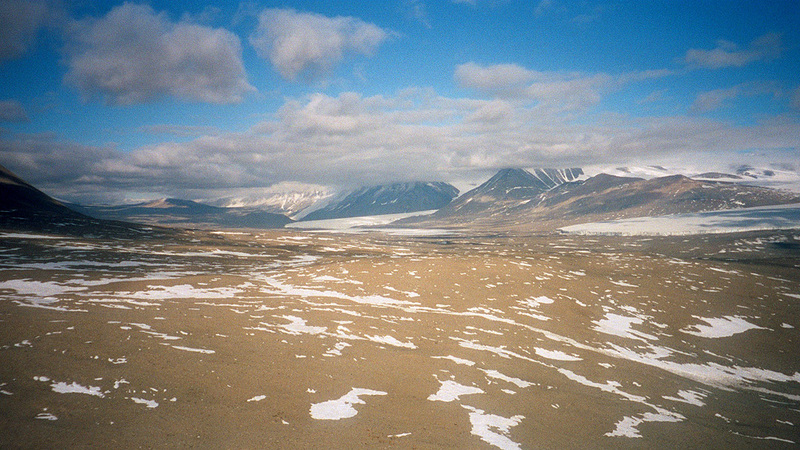 Other co-authors of the paper were UCSD chemists Douglas A. Campbell and Mark H. Thiemens, and James G. Bockheim, a soil scientist at the University of Wisconsin at Madison who obtained the soil samples under the auspices of the U.S. Antarctic Program, which is managed by the National Science Foundation. The study was financed by the NSF and the National Aeronautics and Space Administration. The scientists discovered that in areas of the Dry Valleys closer to the coast, the biologically produced sulfates constituted a smaller fraction of the total salt content, but that further inland, the biologically produced fraction increased substantially. The researchers said this suggested that wind-blown sea spray played a larger role in the overall salt content closer to the coast, but that further inland, biologically produced sulfates were the major contributor. The scientists also found that digging more deeply into the soil of the Dry Valleys yielded substantially higher concentrations of biologically produced sulfates. Bao says this may be due to the fact that the salts from sea spray are larger in size and are unable to migrate through the soil as far or fast as the smaller biologically produced sulfates. Such observations have important implications in the search for evidence of past or present life on Mars, as well as on understanding the chemical interactions between the Martian atmosphere and the red planet's surface. "What this tells us is that when we go to Mars to retrieve soil samples, we're going to have to go beneath the surface to retrieve samples, because these sulfates may migrate," said Thiemens, a professor of chemistry and dean of UCSD's Division of Physical Sciences. "By studying the soil of the Dry Valleys, you really have a good glimpse of what can happen on Mars," he added. "The conditions of the Dry Valleys are about as close as you're going to get on Earth to the conditions on Mars. So if you really want to understand in a controlled fashion what can happen in an extreme environment like Mars, this is it." "Studying processes like this on Earth is very important because it gives us clues to how similar processes may have worked on Mars when there was more liquid water available," said Scott Borg, who manages NSF's Antarctic geology and geophysics program. "It is also very important in helping us to design experiments for spacecraft that may one day visit other planets."